A team of researchers from UPM and CNR has conducted a study of acoustic measurements in places with aircraft noise exposure. This study aims to determine any significant differences among the sound levels measured on the different façades according to their orientation regarding the flight trajectory, the type of road where the facade is found and the fraction of the flight path in direct transmission. 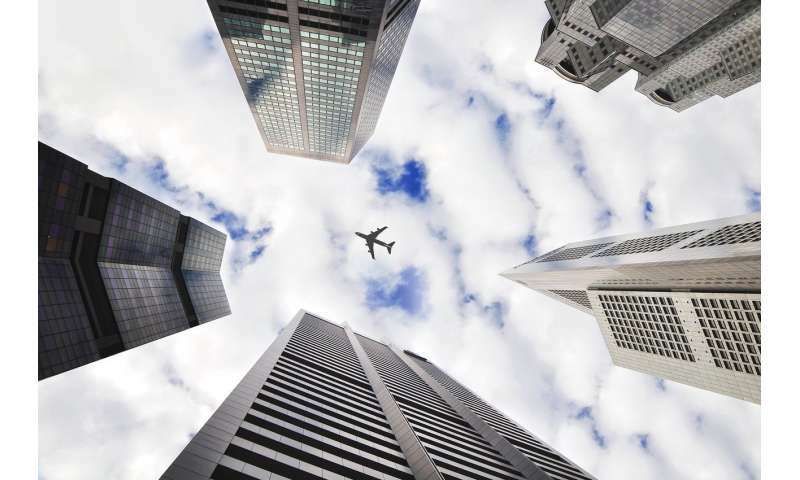 The results will allow us to develop future correction factors to optimize the protection of buildings against aircrafts noise determining, for instance, the rooms more or less exposed to noise in a building or buildings more or less exposed in a same road. Aircraft noise significantly influences health and the environment. It can cause annoyance, sleep disturbance, low work performance, irritability, and other health effects. Diverse international organisms have proposed guidelines with different levels of action for mitigating aircraft noise. Among strategies to reduce acoustic noise, there are statistical tools able to predict airport noise levels in a region during a period of time. However, such tools do not consider basic elements of urban environments such as buildings that modify the levels of noise. There are elements in the urban environment that prevent direct noise transmission, and along with other physical phenomena, provoke diverse sound pressure levels. Rodrigo Flores, a Ph.D. student of the Instrumentation and Applied Acoustic Research Group at UPM, says, "Aircraft are a source of noise that cause acoustic pollution. The roads and the disposal of the buildings cause wave reflection effects that produce diverse levels of noise pressure." However, each variable has a specific impact on acoustic pollution and it is needed to identify them. To this end, UPM and CNR researchers have studied the phenomena of noise waves caused in buildings near the airport in Madrid Barajas Adolfo Suárez and Galileo Galilei in Pisa through measurements and statistical analysis. 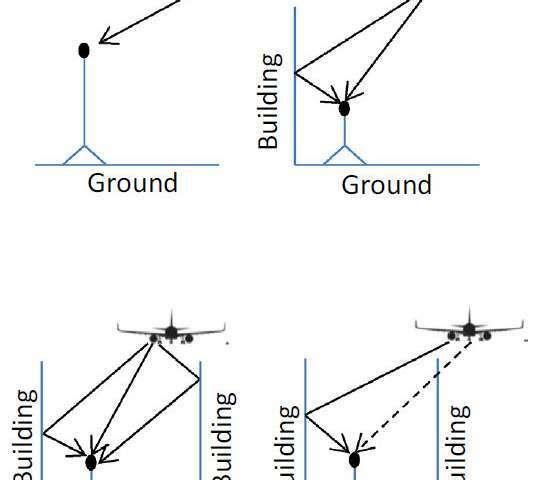 Analysis has shown that front facades in the flight trajectories show higher noise levels than back facades. U-shaped streets can modify the sound pressure levels of a noise source due to a variety of wave phenomena that take place during noise propagation. The analysis of the measurements carried out has allowed us to gain knowledge on noise aircraft propagation in urban environment considering their peculiarities" says Rodrigo Flores. In addition the researcher adds, "As future lines of research, the effects of the assessed variables could be observed in higher buildings and different materials and ground to establish whether these elements cause different attenuations."